At Insight Vision, we know how important it is to have eyewear that stays in place, corrects your vision accurately, and makes you feel confident and comfortable. Stylish, up-to-date eyewear is not limited to certain genders or lifestyles; everyone wants glasses that actually work and fit. Our Arlington optometrist wants your glasses to fit in every way, too. We have an extensive selection of men's eyeglasses in Arlington, and we can even customize your frames while you wait. Your eyes and vision needs will continue to evolve, so it is important to see your optometrist regularly to track any changes in refractive error and eye function. Our optometrist offers thorough, comprehensive eye exams that include a series of precise vision tests for men who wear glasses. Before we create your next pair of custom eyeglasses, you will need a new vision test to make sure your lenses have exactly the right prescription. 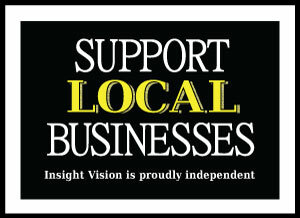 Next time you visit Insight Vision, browse our Arlington optical shop to see which frames look the best on your face. We keep our inventory stocked with a variety of shapes, sizes, colors, and materials, including frames from some of the world's most popular eyewear manufacturers and fashion designers. Browse our frames and ask your optometrist for tips about which frames will work with the lenses you need. Not sure where to get started? Look for frames with dimensions and features that complement your own face, such as rounded frames for an angular face or wider frames for a long, narrow face. From classic shapes and unisex styles to bold, fashionable new trends for men, our selection includes something for every man. Use your vision changes as an opportunity to switch up your style, too! Mr. Blue is one of the newest additions to our state-of-the-art optometry center, and we couldn't be happier to have him on our team. This innovative edging machine is designed to quickly and precisely cut lenses, creating a perfect fit for your new frames in a fraction of the time that it usually takes. After we customize your lenses to fit your new prescription, we will fit them into the frames you selected. The whole process usually takes about an hour, so you don't have to go home with inaccurate lenses or outdated frames. Our Arlington eyewear edger is the most advanced equipment available for on-site customization, so take advantage of our convenient service to enjoy one-stop shopping for all your eyewear needs. 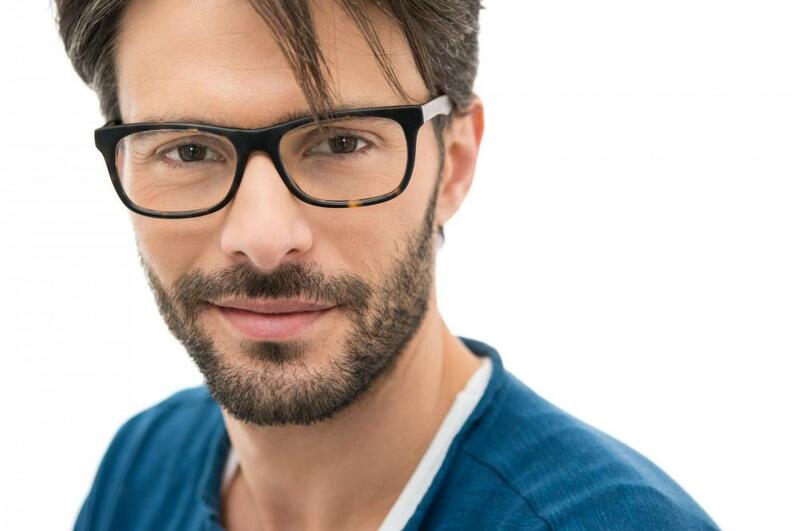 Do you need a new pair of men's eyeglasses in Arlington? Before you pick out your new favorite accessory at our optical shop, you will need precise vision tests to make sure your lenses truly maximize your vision. Call Insight Vision today at 817-861-2020 to schedule your next eye exam with our Arlington optometrist, Dr. Mark R. Hanson.